ParaFed Canterbury works with local sports clubs and organisations to offer a range of competitive Para sport opportunities to our members. In most cases members will require a classification before becoming involved in competitive Para sport. Below is a list of the Para sports available in Canterbury. 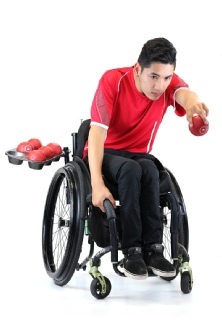 Boccia is a game of strategy and accuracy. 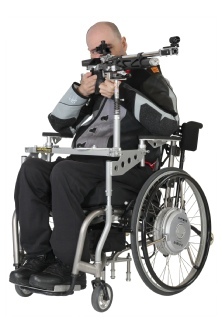 It is played by people with cerebral palsy or impairments that affect motor skills. It is a sport similar to indoor bowls and pétanque. It is played on a flat, smooth surface, where players must throw or roll leather balls as close as possible to a white target ball (the jack). The player, pair or team with the most balls near the jack is the winner. The ParaFed Canterbury Boccia Club provide club training on Saturday mornings and junior boccia training on Thursday afternoons. There are opportunities to compete in Boccia at school events, club tournaments, the Junior Games, the South Island Championships and the NZ Nationals. Para athletics offers a wide range of running, jumping, pushing and throwing events. Canterbury Athletics run an inclusive inter club programme for Para athletes at Ngā Puna Wai during the summer. Para athletes need to be registered with an athletics club to compete in the inter club competitions. Most athletic clubs offer coaching and training sessions during the week. 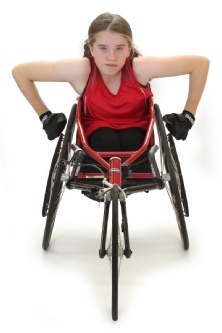 ParaFed Canterbury can assist members to get involved in wheelchair racing and seated throwing by providing access to racing wheelchairs, throwing frames and basic coaching. There are opportunities to compete in Para athletics at school events, inter club competitions, the Junior Games, NZ Secondary Schools and New Zealand Track & Field Championships. Para swimming has only a few adjustments to the standard rules of swimming and includes events in freestyle, backstroke, breaststroke, butterfly and medleys. Diving or water starts are permitted, and those with visual impairments can be assisted by the use of 'tappers' to make them aware of upcoming turns. The majority of swim clubs in Canterbury provide an inclusive environment for Para swimmers to train as part of their squads. 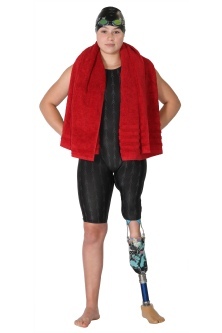 In addition, the Aquagym Swim Club run junior Para swimming training's on Thursday nights. There are opportunities to compete in Para swimming at school events, club swim meets, the Junior Games, NZ Secondary Schools, NZ Short Course and NZ Open Championships. Powerchair football is a competitive team sport for people with physical disabilities who use powerchairs for their mobility. Rules are similar to outdoor football with a few modifications. Players include people with quadriplegia, neuromuscular conditions, cerebral palsy, head injury, spinal cord injury and other disabilities. The game is played in a gymnasium on a regulation basketball court. Two teams of four players use their powerchairs to attack, defend and spin-kick a 13 inch football in an attempt to score goals. Powerchairs are required to have a guard to hit the ball. Para shooting is the ultimate test of accuracy and control. Para shooting features pistol and rifle categories and depending on the athletes disability they are able to shoot from either sitting or standing position. The competition format is very similar to that of able-bodied shooting sport - the goal of shooting is to place a series of shots inside the centre ring (bullseye) of the target. The ParaFed Canterbury Shooting Club provides training on a Tuesday afternoon at the Marshland Community Hall. The club focuses on the 10m Air Rifle discipline. New members are welcome and the club has a range of equipment for new members to try. Para shooting provides opportunities to compete in monthly club competitions, the Canterbury Championships, NZ Shooting Cup and NZ Nationals. Wheelchair Rugby is a mixed team sport for male and female athletes. It combines elements of many sports, including basketball, rugby and ice hockey. Players compete in teams of four to carry a ball across the opposing team's goal line. 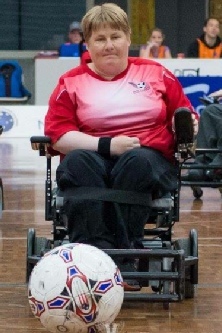 Full contact between wheelchairs is an integral part of the sport as players use their chairs to block and hold opponents. To be eligible to play, athletes must have some loss of function in at least 3 limbs. Canterbury Wheelchair Rugby run two training sessions per week during the season (Feb-Oct) and can offer new players advice on accessing equipment such as rugby wheelchairs, gloves and straps. 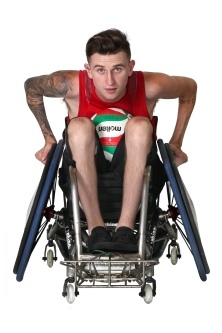 The wheelchair rugby season begins in February and ends with the National Championships in late September/October. Para cycling offers events for tandems, bikes, trikes and handcycles. The sport is for people with visual impairments, cerebral palsy, amputations, spinal cord injuries and other classifiable disabilities. The competition programme includes sprints, individual pursuits, the 1000m time trial, road races and road time trials for both individuals and teams. 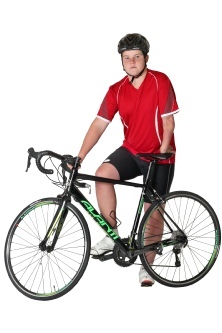 Para cyclists in Canterbury have the opportunity to train with the Odlin Cycle Coaching (OCC) Para Cycling Squad. The squad come together for fortnightly sessions over the summer to work on cycling skills & safety, time trials, hill rides and all things cycling. There are opportunities to compete in local road cycling time trials (8km & 16km) and round 1 of the Para Cycling Three Wheels Race Series is held in Christchurch every year. There are national championships held annual for both road and track cycling. Para table tennis follows the usual table tennis rules with only slight modifications. This sport is open to people with upper and lower limb paralysis, cerebral palsy, amputees and other physical disabilities like multiple sclerosis and muscular dystrophy. 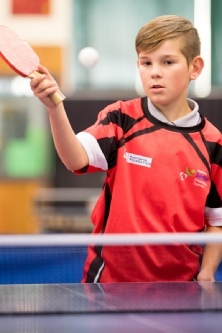 Para table tennis is included in the Table Tennis Canterbury training sessions on Tuesday evenings. Below is a full list of Para sport opportunities that are available around the world. Click on the link to find out more information via the International Paralympic Committee (IPC) website. Not all are available in Canterbury or New Zealand.